“New Orleans, unlike a lot of those places you go back to and that don’t have the magic anymore, still has got it. Night can swallow you up, yet none of it touches you. Around any corner, there’s a promise of something daring and ideal and things are just getting going. There’s something obscenely joyful behind every door, either that or somebody crying with their head in their hands”. Bob Dylan said that, and he’s familiar with the magic of music. It’s no surprise that also a songwriter such as Luke Winslow-King fell in love with the “Crescent City”: his songs have the feeling of a town where the music is on every corner of the streets. After a successful tour of Italy, Winslow-King tells us about the past, the present (and the future) of his musical journey. Even though you're from Michigan, your music is strongly connected to the streets of New Orleans. It all began with a car theft... Could you tell us the story? I was on tour with some old friends in 2001 performing the music of Woody Guthrie. When we arrived in New Orleans the car was stolen on our first night. I stayed here just long enough to fall in love with the place. What do you love the most in New Orleans? The music in the air, the tropical plants, all my good friends on every street corner. In New Orleans you met many great artists, from John Boutté to Roberto Luti, and you studied musical theory and composition. How did those experiences affect your songwriting? I was lucky to make my own curriculum studying here in New Orleans. My education was blended between classical training and knowledge from the streets and clubs. Both of these elements inform my writing in different, and equally important, ways. I learned music theory, but also style, and how to entertain an audience. Can you tell us a bit about the recording and the production of your third album, “The Coming Tide”? We recorded the album here in the Bywater neighborhood of New Orleans at Piety Street Studios. It reflects our last years traveling and living in this beautiful city. It has songs about love and longing for the old days, back when jazz was born. It also features great musicians from here. What difference do you feel from your previous record, “Old/New Baby”? I think “The Coming Tide” is a little more direct lyrically, the musical arrangements are more focused and live. How did today's line-up of your live band come together? Esther and I met in a cafe and fell in love making music together. I met our bassist Cassidy on a subway train in New York. They are the best band members I could ask for, they love the music, and enjoy bringing it to the people night after night. Back in January you played a few dates here in Italy. How was the Italian audience reception? Have you any story you'd like to share with us about the tour? Our tour was incredible. The audiences we very enthusiastic, and we had sold out crowds almost every night. We had challenging times learning to put chains on our tires to make it up the snowy mountains of South Tyrol. We ended up turning around and sleeping at the foot of the mountain. I think we will come again this summer. What's your relationship with Italy in general? I have visited your wonderful country more than six times. I used to come and perform in the piazzas of Rome during my summer vacations from college. I have made some great friends and memories there. I have even learned to defend myself in the Italian language. I hope to return every year of my life. In your last Ep, “Live At Tweed Recording”, you played a couple of classic songs, such as “Miss The Mississippi” and “Ragtime Millionaire”. For you what's the key to really make someone else's song your own? I think the key to making a song your own is to learn it accurately, and then forget what you learned. To sing it in your own voice with original inflection and vision. You recently signed with Bloodshot Records, that re-released “The Coming Time” back in April. How did that opportunity come about? Bloodshot saw us perform in a small club in Chicago. They were excited about our music immediately, and the relationship went from there. We have been seeing a lot of new people discovering our music through them, and we are looking forward to making lots of great music on their label. Your first records were all self released. What do you think about the chance for the artists to promote their music in the digital era? It's still possible, but it is very hard to get the attention of the press and radio independently. Self released records can still be profitable if you just want to travel and sell records from the bandstand, but distribution helps spread the seeds much further. Your music has a sort of “out of time” feeling. If you could use a time machine, which year (and place) would you choose? I would love to have seen the old west of America in the late 1800's. From the past to the future: have you already any plans for a new record? Yes, we are going into the studio this week in fact. We plan a new release for May 2014 on Bloodshot Records. 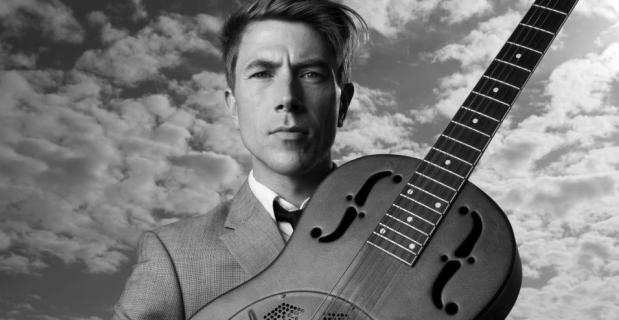 In the meantime, Luke Winslow-King decided to give to the OndaRock readers an exclusive preview of his next album: a live version in free download of his new track “Home Blues”, recorded at the French Quarter Festival. The best way to breathe a little of the air of New Orleans.